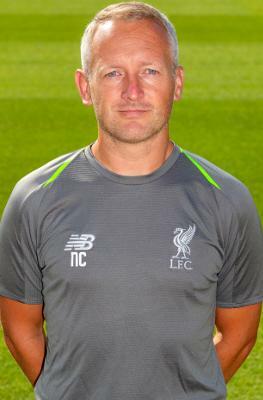 Neil Critchley arrived at the Academy in September 2013 to take charge of the Reds' U18s squad. He joined Liverpool from Crewe Alexandra, where he had held the role of academy director since 2007. The 34-year-old started his career as a junior player at Crewe, before rising through the ranks to make one appearance for the club's senior side against Fulham during the 1999-2000 season. As a coach, Critchley is one of only 16 in the country to have gained the highest possible qualification in the game after he was handpicked by the FA to take UEFA's first elite badge course. After 18 months the former midfielder graduated - and is currently among the top-graded coaches in Europe. Critchley took on a new role for 2017-18 when he was named as the club's new U23 manager. Click here to read our Behind the Badge feature with Critchley.